Looking wonderful in the backyard, and just as fun indoors in a plant, by a window sill, or added into a flower bouquet, our Moonface garden stakes make great gifts for everyone! Sprinkle these stakes around your flowers, your backyard, front yard, and anywhere else you could use some fun garden Stakes! 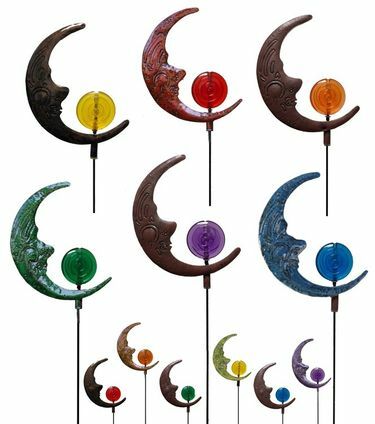 Each Moonface set of 6 will come with a mix of polished and matte finishes and one red, yellow, orange, green, blue, and purple stake.